Third Graders went back in time….way back to 1947…. (the year before I was born!) 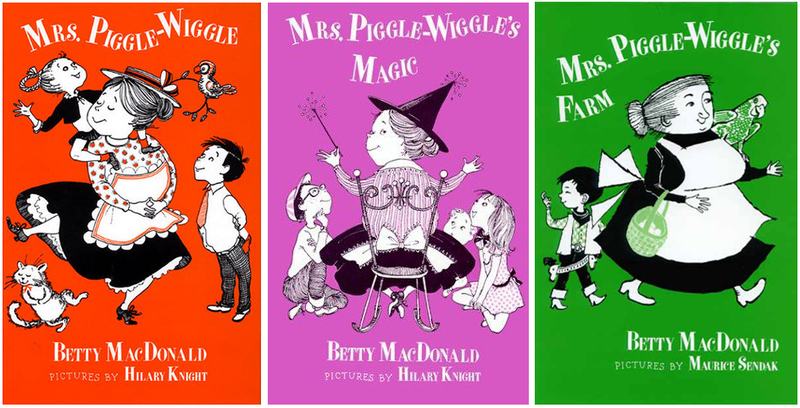 and heard the delightful story, “The Radish Cure” in Betty MacDonald’s, Mrs. Piggle Wiggle. It’s so great to see how students still respond to these stories even with all the new and exciting books and technology available to them. After I read “The Radish Cure” they scrambled to check out the other Mrs. Piggle Wiggle books I put out on display. 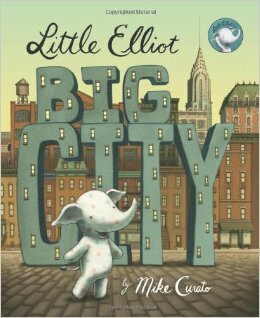 Kindergarten–Kindergarteners heard a new book, Little Elliot, Big City by Mike Curato. This charming books tells the story of a little elephant who has trouble doing things in a big city because of his size–something children of this age can connect with. After cooperating with a new friend, a mouse, he gets what he wanted and a bonus of a new friend to share it with. 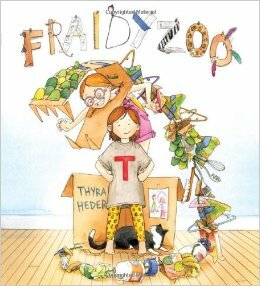 Second Grade–Another new book, Fraidy Zoo by Thyra Heder, was also a bit hit with second graders. Poor Little T is embarrassed to explain to her family why she afraid to go to the zoo. In a series of hilarious attempts to guess which animal she’s afraid of, her family dresses up and creates some amazing costumes. But it isn’t an animal she afraid of, it’s the lady with the long, long fingernails who takes the tickets!! 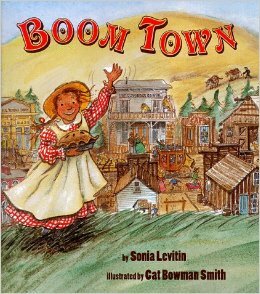 Fourth Grade–After seeing a keynote presentation on the California ghost town, Bodie, fourth graders really enjoyed Boom Town by Sonia Levitin. It tells the tale of a little girl who starts a pie making business and describes the way the town grows to meet the needs of the gold miners in the region. We used the Visible Thinking Routine called Plot Prediction to predict which new business would be added as the story progressed. 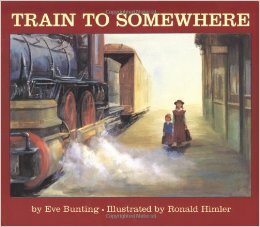 Fifth Grade–After doing the Visible Thinking Routine called See Think Wonder with a vintage photo of children on an orphan train, students heard Eve Bunting’s touching story of one orphan, Train to Somewhere. With the first person point of view, it really brought home to students what these children went through. This is a great historical read aloud for this grade level. Sixth Grade–Sixth graders watched the BrainPop video about online sources and took a quiz. Then, using the criteria from the video, we evaluated two websites together–one bogus and one legitimate.